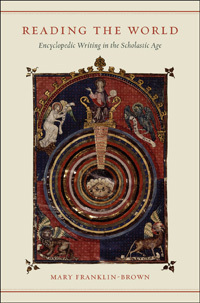 A major contribution to recent advancements in medieval biblical studies, this volume focuses on a critical stage of the development of the "Bible" as we conceive of it today: as a widely produced, single portable volume (pandect) comprised of the Old and New Testaments with a codified order of biblical books divided into predetermined chapters. Although until recently Late Medieval Bibles have attracted little scholarly attention, the emergence of the "Paris" Bible (characterized by a specific order of books, chapter divisions and associated reference tools) and the pocket or portable Bible was intimately tied to larger historical developments, including the commercial book trade and vibrant university environment of Paris and northern Italy and the advent of the mendicant orders associated with revitalized pastoral care. 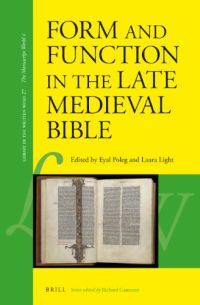 The editors of the present volume have coined the term "Late Medieval Bible" (LMB) to describe a group of Latin and vernacular Bibles copied between circa 1230 and 1450 across Europe which shared important features despite their variety of origins and uses (3). 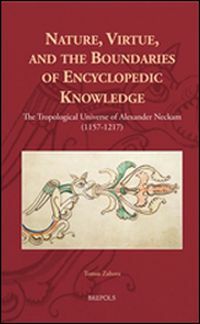 One of the most popular book forms of the medieval period, their single-volume and often compact format would transform the way in which the Bible was used and perceived by ecclesiastical and lay audiences, and their widespread diffusion illuminates the movements and changing tastes of scribes and artists, students and masters, lay and ecclesiastical patrons, monks and friars. As Laura Light and others note, the typological reading and cross-referencing made possible by the new pandect form was in part a response to the demands of a new style of preaching and the yearly liturgical reading cycle, the means by which most medieval individuals encountered the biblical text. Further navigational aids transformed the ways in which Bibles were read and consulted. As Richard Gameson and Sabina Magrini show, so valuable were these new tools (including Psalm numbers and chapter divisions) considered that they were often added to earlier Bibles in order to update older volumes for new uses. Lucie Doležalová discusses the mystifying popularity of the Summarium Biblicum, a cryptic collection of verses meant to aid in the memorization of the Bible's contents (163-84). Giovanni Murano cleverly utilizes marginalia to illustrate how masters and friars in San Domenico in Bologna used the new "Paris" Bible format to promote preaching based on biblical distinctions (127-46). Eyal Poleg convincingly explains the impact of another tool known as the Interpretation of Hebrew Names, which functioned as a biblical glossary and enabled the etymological amplification of Hebrew terms tied to new forms of allegorical exegesis and preaching based on divisions and distinctions utilized by university and mendicant preachers (217-36). Biblical manuscripts, glossaries, preaching techniques and other important navigational tools evolved in lockstep. The volume as a whole also challenges certain commonplace assertions made about the character of the Late Medieval Bible. Paul Saenger demonstrates that the standardized biblical chapter divisions (still used today) traditionally attributed to Stephen Langton or Hugh of Saint-Cher in fact originated in Saint Albans in England before making their way, through English scholars, to Saint Victor in Paris (c.1200-1210) (31-66). 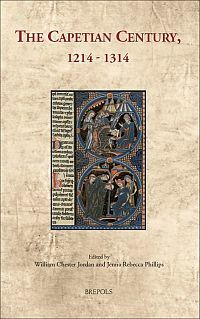 Laura Light and other authors in the volume also stress the important role of Cistercian and other monastic orders in manipulating the layout of the biblical text and creating indexing techniques and other navigational aids traditionally associated with universities or friars rather than the monastic milieu (200). Chapters by Richard Gameson, Sabina Magrini and Sabrina Corbellini illustrate how the "Paris" Bible was adapted to the tastes of other regions and readerships. In Italy and elsewhere, laypersons were active participants in commissioning biblical texts shaped by the worlds of lay confraternities and merchant communities (67-104, 237-82). Often aided by mendicant communities, lay patrons tended to combine selections of biblical texts with moral and didactic treatises, but could also value decoration and symbolic prestige over more utilitarian formats. Hargriet Hoogvliet and Guy Lobrichon present consonant findings for medieval vernacular French Bibles, where abridged or fragmented vernacular paraphrases and adaptations of the Bible were presented and perceived as authentic texts adapted for specific discontinuous reading practices and used for religious instruction by the laity and regular religious alike. In both instances, the incomplete nature of the text was in response to the demands of the reader rather than a ham-handed attempt to keep the biblical text from lay access (283-331). Elizabeth Solopova similarly concludes that many of the vernacular Wycliffite Bibles typically associated with the Lollard heresy were in fact utilized by orthodox patrons (including members of the nobility, women and tradesmen, clerics and members of religious orders) for orthodox purposes. These contributions beg the question of whether a new lay readership entailed the movement of the biblical text from an official religious and liturgical setting into a domestic, private and personal space (333-49). Matti Peikola argues just that. Challenging Anne Hudson's theory that Wycliffite Bibles were used for public church reading, he envisages them as an attempt to supplant the standard use of the Latin Bible within the established liturgy or as private tool for orthodox laypersons to focus their devotion by increasing their understanding of Latin readings in the Mass (351-78). 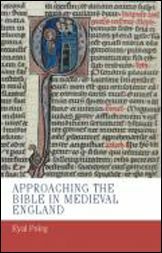 Yet for all the advancements in the study of the Late Medieval Bible presented by this volume, many questions remain unanswered, as Peter Stallybrass' epilogue eloquently shows (379-94). The cost of Bibles in parchment and labor meant that they were a luxury item dependent in part on the commercial book manufacture honed in Paris and other university towns. Is it useful then, to speak in terms of their mass-production (390)? There is also the question of how Late Medieval Bibles were used or rather not used. Many surviving copies show remarkably little wear, particularly those pocket Bibles written in a heavily abbreviated and miniscule script. This contrasts remarkably with the much-emended and revised earlier Great Bibles, which as Diane Reilly illustrates, show evidence of being read out loud communally and used as the basis for basic instruction in the scriptures (29). Moreover, if Late Medieval Bibles were so useful, why did their production, as Chiara Ruzzier notes, peak at specific decades during the thirteenth century, only to collapse at the beginning of the fourteenth? Saturation of the market, modernization of older copies of the Bible, a long manuscript life, or a poor survival rate of manuscripts (4.2 percent) cannot explain this decline, as the great demand for books of hours and vernacular and printed Bibles in later periods testifies (110-11, 391-4). As many of the volume's authors observe, thirteenth-century biblical pandects also provided a textual and manuscript model which was often deliberately disregarded as well as adopted (394). As the studies of Wycliffite Bibles and vernacular Italian and French Bibles demonstrate, many "Bibles" contained what modern readers would consider partial texts or paraphrases mingled with non-biblical material, yet all were treated as "Bibles" by their medieval audiences. Was the Late Medieval Bible in fact "one of the key cultural artifacts" of the period, sparking a transformation in biblical reading which rippled outwards from an academic to lay audiences? (6) Did the material production of Latin Bibles in the thirteenth century pave the way for the wider dissemination of Bibles via vernacular translations in manuscript and eventually in print? As Light and Poleg readily acknowledge, these queries can only be addressed by further research into the ways in which readers of various regions, time periods and contexts utilized the surviving manuscripts of Late Medieval Bibles (7). Form and Function has, in a very important way, raised as many questions as it has answered, and has suggested many fruitful areas of research for historians of material and religious culture, book and manuscript history, art history, liturgy, exegesis, preaching and monastic reform.